Cunard’s Queen Mary 2’s Executive Chef Klaus Kremer chats with Paul and Elizabeth in the kitchen aboard the ship as she sails the South China Sea. 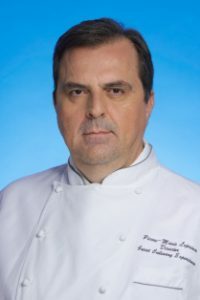 Chef Kremer overseas the production of thousands of meals each day as the ship sails around the world. 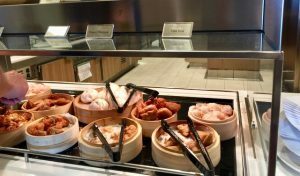 He creates meals to satisfy the demanding tastes of Chinese guests and other nationalities that join the ship on her voyage. The overall quality of the food onboard exceeds that of the great liner Queen Mary. Guests can sample world class dishes worthy of a star in The Verandah Restaurant or have a pint and fish and chips in an English pub. Paul chats with Brian Abel of Celebrity Cruises about the new and extremely innovative dining concepts being rolled out for the new Celebrity Edge due out later this year. Not only is the food cutting edge and very innovative but the presentations elevate dining aboard to new heights. Here are just a few highlights of our talk taken from a column written for WESTWAYS. Dine in a garden on your next cruise? You can, when the Celebrity edge sets sail later this year. That garden setting is the Rooftop Garden Grill, tucked into a corner of the Rooftop Garden, a horticultural oasis on the top deck. The menu will feature barbecue specialities. Another unique feature on the Edge is the Magic Carpet, a moving platform on the side of the ship. When it rises to deck five can become an alfresco experience for the seafood bar, Raw on 5. When it rises to Deck 16 it will provide outdoor dining for ‘Dinner on the Edge’ featuring dishes created by the chefs from local market shopping in different ports. On board you will be able to choose from among 29 places to wine and dine on board including four main dining rooms. As it has always done, Celebrity is cearly rocking the culinary scene at sea with the new Edge. Anyone who has traveled the waterways of France knows that it can be quite a majestic experience. Travel writer Anna Hobbs joins us to talk about the advantages of an Emerald River Cruise and the unique experience of traveling through France and its rivers. 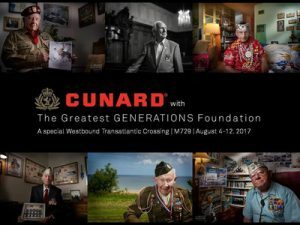 On this episode of Traveling, Cunard is teaming up with The Greatest Generations Foundation for a once in a lifetime transatlantic cruise from Southampton to New York, and to pay tribute to the forgotten heroes of World War II. Cruising aboard the Queen Mary 2, this trip will relive the days of the original Queen Mary being a troop transport and honor our nation’s veterans with a unique enrichment program. 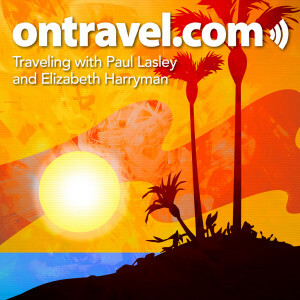 Douglas Ward visits the show to talk with Paul and Elizabeth about all things river cruising. 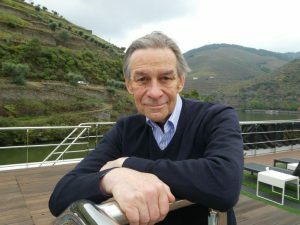 Ward has been publishing books on cruising for 32 years, is a leader in the cruising industry, and has recently expanded his expertise to river cruising. 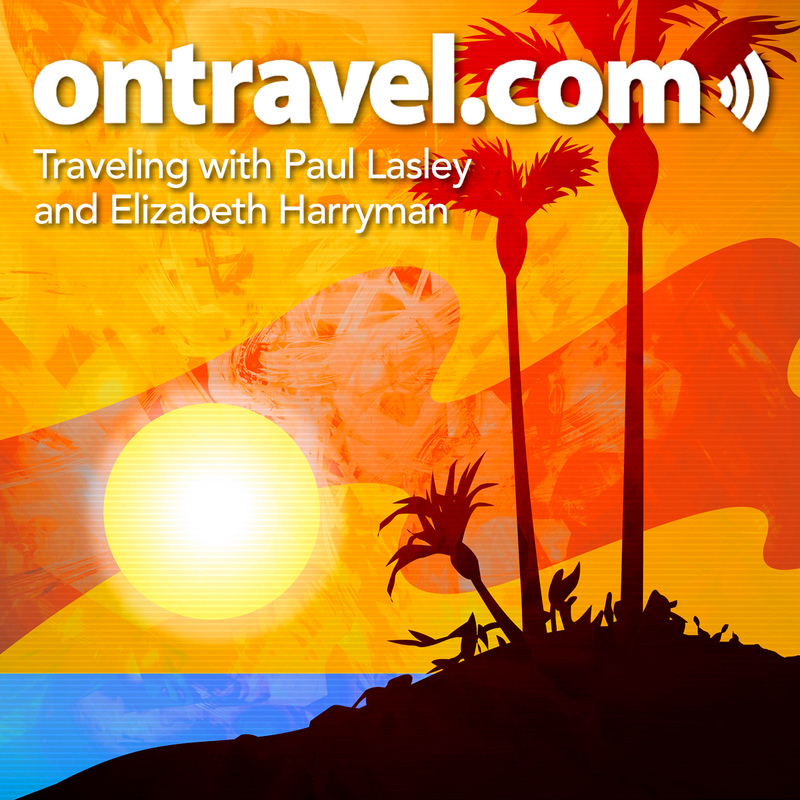 On the show he shares his experiences, talks about his new book, as well as covers new trends in river cruising (such as the recent expansion in the US and Southeast Asia). Listen to the full episode below to learn more. 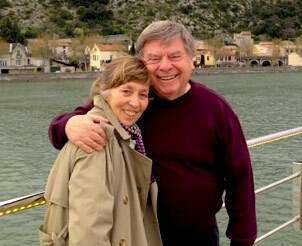 Veteran journalist Norm Sklarewitz joins Paul to talk about a recent vacation (that’s right — a vacation) he and his wife took on a Viking River Cruise in Europe. Norm came away a fan. River cruising makes travel easy and the sights along the river make it interesting. Slate gray clouds hovered above Southampton, England, on June 13, 2013, and cold winds whipped around the docks. Dour weather, though, didn’t dampen the spirits of the more than 2,000 people gathered for the naming of Princess Cruises’ Royal Princess. 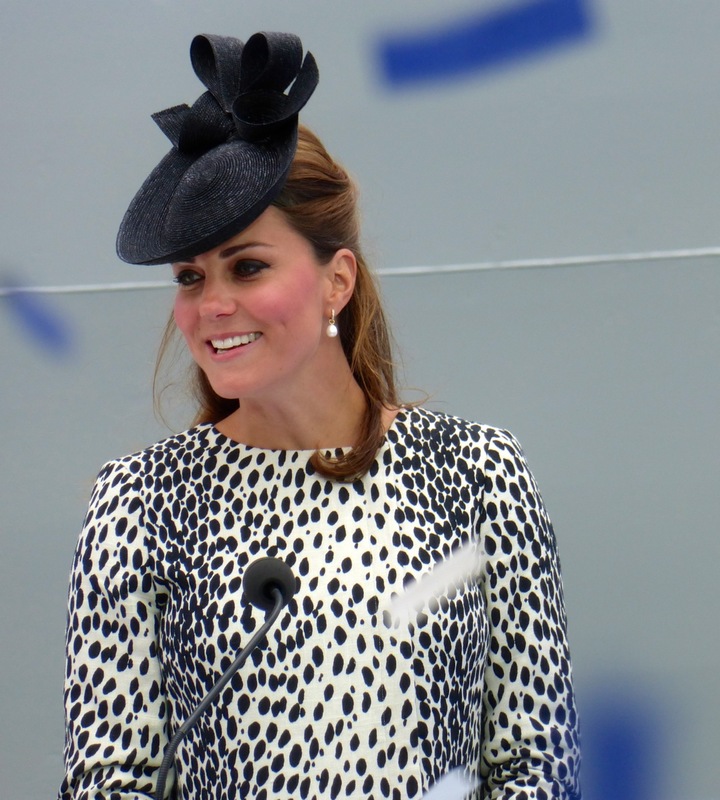 Kate Middleton, Her Royal Highness The Duchess of Cambridge, arrived wearing a black-and-white dress and black straw hat. When she stepped to the podium, the sun broke through the pewter-colored sky and lit her face for a brief moment. “I name this ship Royal Princess. May God bless her and all who sail in her,” she said, and cut the rope attached to a Nebuchadnezzar-size bottle of Moët & Chandon champagne. The bottle crashed against the ship’s hull, and a snowfall of blue and white confetti descended on the cheering crowd. Elizabeth was on hand for the naming and then departed on a two-night round-trip cruise. While aboard, she interviewed Rai Caluori, who revealed some innovative features, such as a Dancing Fountains sound-and-light spectacular; Princess Live, a TV studio that presents shows before a live audience and broadcasts them into the cabins; an electronic Art& Architecture tour; SeaWalk, a Plexiglas-bottomed walkway that curves 28 feet out from the ship’s starboard side on Deck 16; and the most innovative, user-friendly, on-demand in-cabin television programming system at sea. 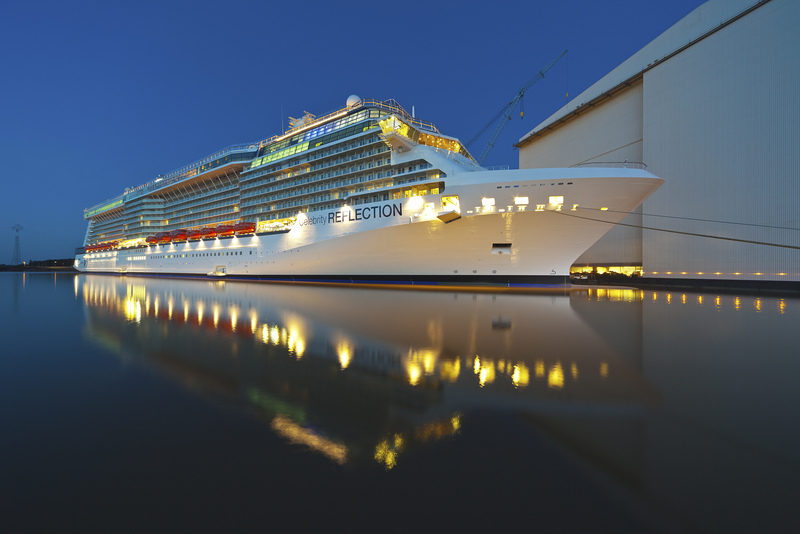 Paul and Elizabeth talk with Dan Forth about the debut of Celebrity Cruise’s Reflection – the fifth and final ship of the Solstice-class series. They discuss how Celebrity is working to expand their concept of “modern luxury” at sea as Dan shares some first impressions of this attractive addition to the cruise line. The Reflection is quite a sight – sleek, modern and elegant. From the Grand Foyer to the stairwells — the Celebrity Reflection is a floating festival of contemporary art. Likewise, it’s state-of-the-art featuring an iLounge with, you guessed it …an Apple Store. It even sounds good. The onboard entertainment seems to have been modernized as well …think Cirque du Soleil meets Rock of Ages. 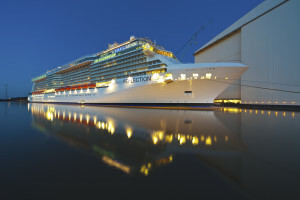 Overall, the Celebrity Reflection is at the cutting edge of modern day cruising.